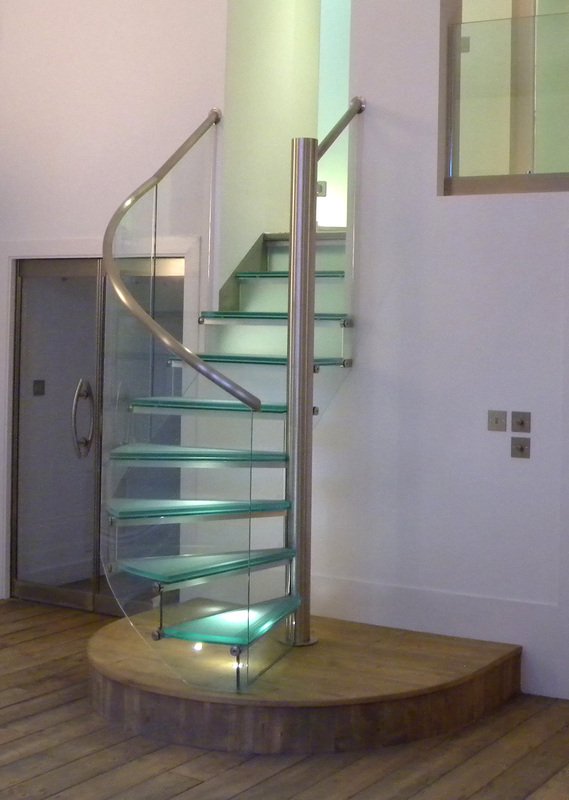 We were approached to design a glass staircase up to a mezzanine level in a central London home. The top half of the stair provide borrowed light into the area behind the partition wall. 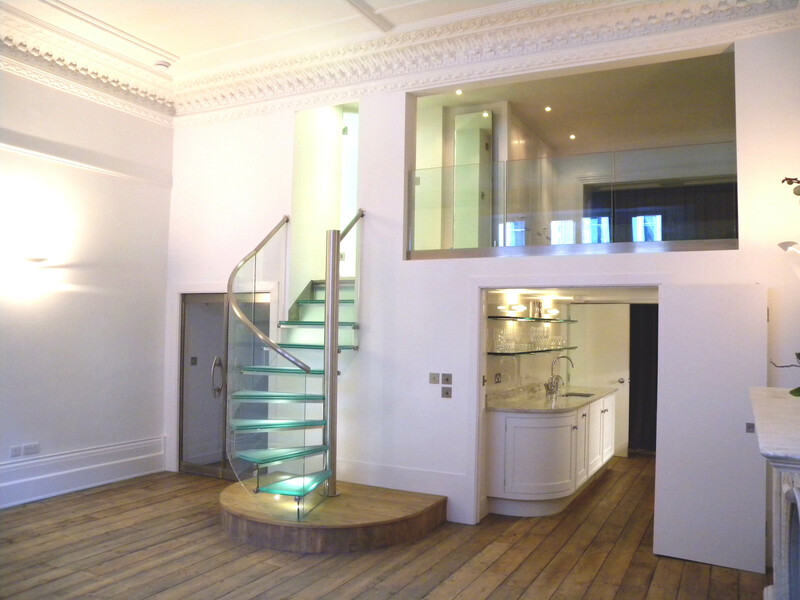 We also installed glass balustrading to either side of the mezzanine.